Chorizo - Air dried Chorizo produced from fresh pork and seasoned with smoked paprika. 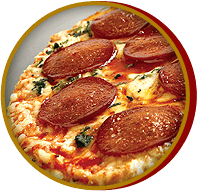 Canitas De Chorizo convenient and easy to eat snacking chorizo. 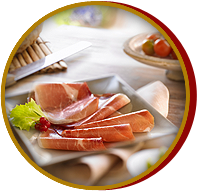 Duroc Ham - Dry cured ham with an intense flavour due to the quality of the meat used and to the curing process with lasts approximately 20 months. Pancetta - Cured and air dried before being lightly smoked. Bratwurst - Steam cooked and lightly spiced German Pork Sausage. 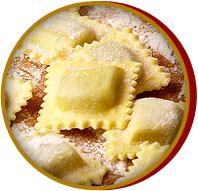 Ravioli - Traditional Italian Pasta stuffed with a variety of fillings. 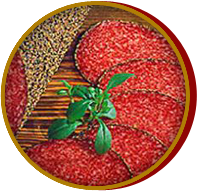 Carpaccio - Thin slices of Beef marinated in Olive Oil. 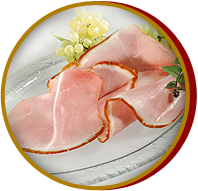 Krustenschinken - Austrian air dried ham, Smoked over Beechwood with Garlic and Black Pepper. 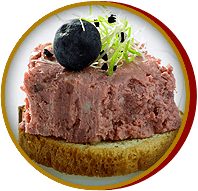 Minster Fine Foods was established in 1993 by Ann and Richard Burbidge. Both Ann and Richard had worked for several years selling continental meat products into the UK market for various other companies. The business was started as they felt logistics to the UK from Europe had improved enough that products could be delivered on a direct basis as opposed to stock holding the products here in the UK. 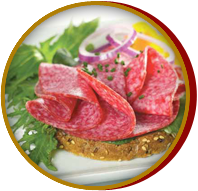 The idea from the start was to offer a complete range of Delicatessen meat products from Europe to the Retailers, Food Service and Industrial sectors of the food industry. 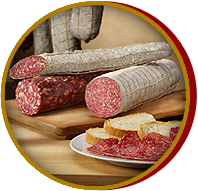 Minster Fine Foods are still today working on the same principles the company was founded on and that is to offer the most competitive prices on high quality products and the best possible service at all times. Our mission is to offer the highest quality products with the best possible service, combined with the most competitive prices, to give our customers an edge in today's competitive market place. Anis Musa – ICS UK Ltd.
Calls to our offices may be recorded for training and monitoring purposes.